Ahh - this looks great. Kevin did something similar to this - great job! Panini! 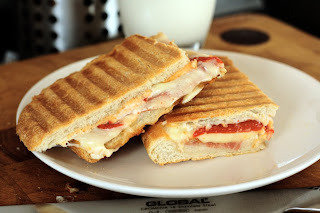 Nothing I love more than a warm sandwich with some melted cheese straight from the panini press. A&B: You're right, hard to beat.